‘Recorded proof that retro can be progressive’ was a comment attached to an alt-country album reviewed here last summer. 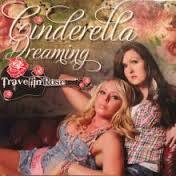 After listening to CINDERELLA DREAMING, the debut full length release by UK duo Travellin Rose, it was time to return to the quote and on this occasion apply it to a pair of artists dedicated to carrying the flame of traditional country music forward. The duo comprising of Kelly Lee and Talia Smith have produced a remarkably fresh and archetypical country album that perfectly captures the very soul of the genre. The album is the product of much endeavour from both ladies who have balanced raising a family, while making great strides in emulating the feats of their iconic country music influences. No prizes for guessing these but amongst them include Dixie Chicks and Sara Evans, and their influence can be detected right across the album. Repeat visits to Nashville and the services of some fine Music City session musicians have reaped enormous benefits in providing the perfect platform for the duo to apply their well-tuned vocals that melt into one when adorned by the essential fiddle, pedal steel, banjo and a host of other musical sounds synonymous with country music. All twelve tracks are self-penned by Kelly and Talia, who have attracted certain media attention on the back of their fiercely proud Romany background. No doubt drawing on plenty of personal inspiration, the record is jam packed with heartfelt themes and real life experiences aligned with the passionate advocating of feminist issues. With hardly a weak song on show, the challenge to pick out the highlights is tough but a pair of amazing country waltz numbers stand out for their outstanding arrangements. The title track ‘Cinderella Dreaming’ succeeds at relating a fantasy theme to everyday life while ‘Givin Up’ is the ultimate sad hard times song that may not be too far adrift from some current circumstances. Running these two classic sounds, that pay enormous respect to the past, close is the album concluding ‘I Am What I Am’. A perfect finale with tear jerking qualities in an auto biographical tale that draws enormous pride from their roots. All other nine tracks have merits that warrant a mention. The jaunty opener ‘OMG’ sees the ladies give a nod to the social media generation amidst post relationship satisfaction, with a little bit of English quirky charm added to the chorus. ‘Repentance’ deals with releasing your sins in a style reminiscent of early Dixie Chicks while incorporating effective electric guitar. ‘Overworked and Underpaid’, with double bass and fiddle, will resonate with many people. ‘Count to Ten’ is catchy, uncompromising and explicit. ‘Girl from the Backwoods’, a song previously released as a single, is a reflection on taking pride in your journey while the pace is picked up with extra banjo and fiddle on another previous release ‘Made Your Mind Up’, about chasing your dreams. That just leaves the final three tracks ‘What’s the World Coming to?’, ‘VIP Room’ and ‘Devils Den’ which are no mere album fillers and could easily stand out more on a lesser album. Travellin Rose have produced a record that can prove to be a shot in the arm for UK country music and also has the potential to leave a favourable impression with serious American roots music connoisseurs from outside the scene that they have emerged from. CINDERELLA DREAMING cannot be recommended highly enough but it comes with a warning – EXPLICIT COUNTRY CONTENT.